Te Anau is a safe, vibrant community. Locals are renowned for their friendliness and hospitality; it is simply a great place to live. Te Anau’s status as a tourist destination means it has wonderful facilities while maintaining an intimate atmosphere. We pride ourselves on the unique experience we offer our international students. All of our students participate in high quality academic programmes, outstanding environmental and co-curricular programmes and have opportunities to take part in a wide range of sporting and cultural activities. This all happens against the stunning backdrop of Fiordland World Heritage National Park. Our small class sizes allow us to meet the individual learning needs of students. International students are fully integrated into our co-curricular programmes. We look forward to welcoming you to our friendly College and caring community. 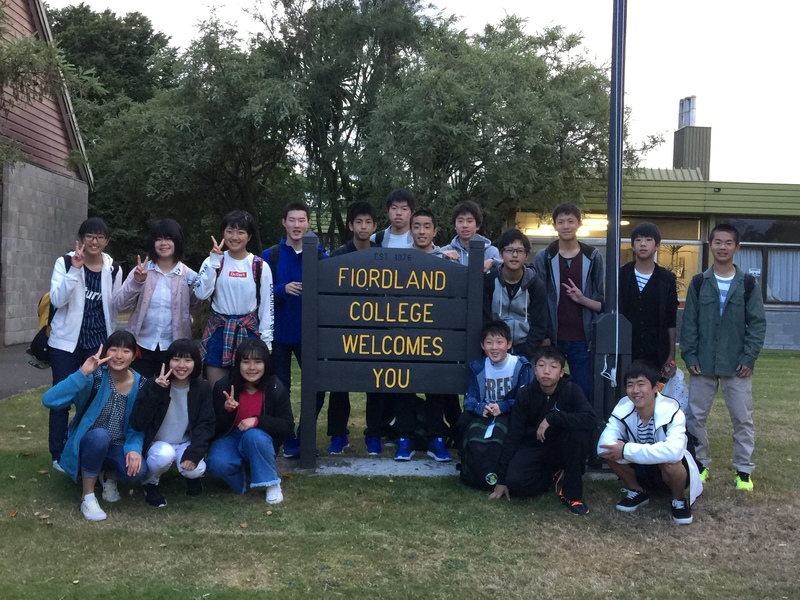 At Fiordland College our international students live with carefully selected host families. Living with a host family provides students with a comfortable and friendly family environment. This helps you adjust to life in New Zealand while enhancing your English language conversational skills within a relaxed atmosphere. At Fiordland College you can choose from a wide range of academic courses. Our specialist teachers will help you achieve to the highest level. Our students study towards NCEA – the National Certificate of Educational Achievement – New Zealand’s national qualification. This is an internationally recognised qualification that enables you to continue studying at Tertiary Institutions after leaving school. We also offer tuition for IELTs and TOEFL in ESOL classes. This is included in our tuition fee. We encourage our international students to take part in activities organised at the College and within the community, because we recognise that these activities can help broaden students’ understanding of the New Zealand way of life and aid English language skills and confidence. We believe in the importance of education in and about the environment. As an enviroschool we are working hard to foster the development of sustainable practices with the school. We make the most of the amazing natural landscape in which we live through our curriculum programmes and extensive co-curricular activities. All students participate in two co-curricular weeks which take place in February and August each year.